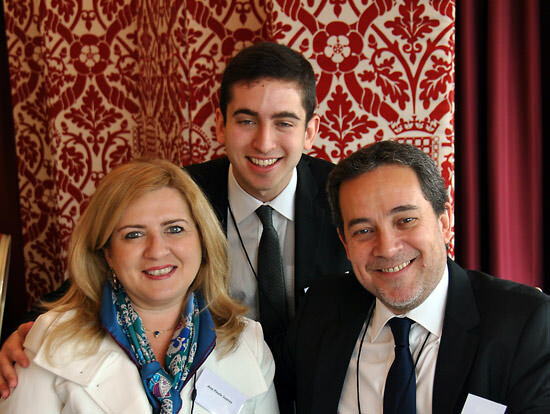 CATS London is delighted to announce that two of our best students were recognised with prizes at the CIFE Awards ceremony held in the House of Lords this March. Cheuk Ying (Karen) Ho received a CIFE award for Sciences. Karen is an incredibly talented individual. Her ability to grasp and apply A level material was only superseded by her aptitude and willingness to communicate this understanding to her peers. She took every opportunity to do this, working well and generously with others and her contributions to class discussion were always perceptive. She attained an average of 99% in A level Mathematics, 95% in Chemistry, 96% in Biology and 93% in Physics, no small feat on a one year Fast Track A level programme. Karen was a pleasure to teach and thoroughly deserved her outstanding results. She is now a first year medical student at university in Hong Kong and with every prospect of a successful career ahead as a doctor. She couldn’t attend the ceremony but CATS Principal Mario Di Clemente was proud to receive the award from Lord lexden (CIFE President)on her behalf. Bruno Soares received a CIFE College Award for his outstanding contribution to college life. Bruno participated in a wide range of extra-curricular activities at the college. He was involved in the Young Enterprise Challenge, the Student Investor Challenge and was the co-editor of the CATS College Magazine. He was the Student Leader for his year group on the Student Committee. His leadership qualities and people skills were impressive and he led a number of initiatives that resulted in positive changes at the College. Bruno was admired by both staff and students. In a college of over 50 different cultures and nationalities this was a tremendous achievement, making Bruno a true Global Citizen. He is now studying Investment and Financial Risk Management at City University, having achieved grades A*AB in Maths, Economics and History.